John Moore was an intelligence analyzer for the us government and has unleashed details of a hidden NASA conspiracy of a newly discovered 10th planet in our solar system called Planet X . Planet X was discovered in 1979 by NASA's pioneer 10 space probe and has been covered up. 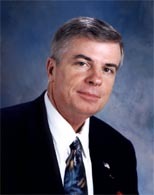 Experts in NASA like Robert Harrington blew the whistle and were found dead days later. Planet X is 3-5 times larger than earth with an iron nickel core giving this planet a hire magnetic field. 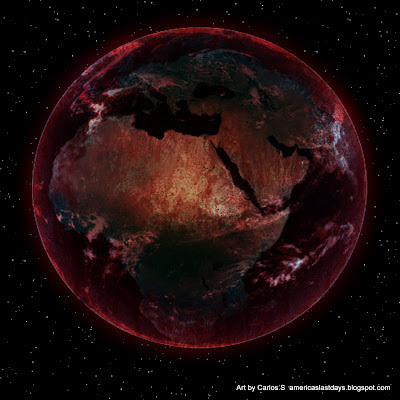 This planet has an elliptical orbit of 3600 years that may be responsible for the disasters in the bible like Noah flood and the plagues of Egypt that caused the sea to turn into blood. 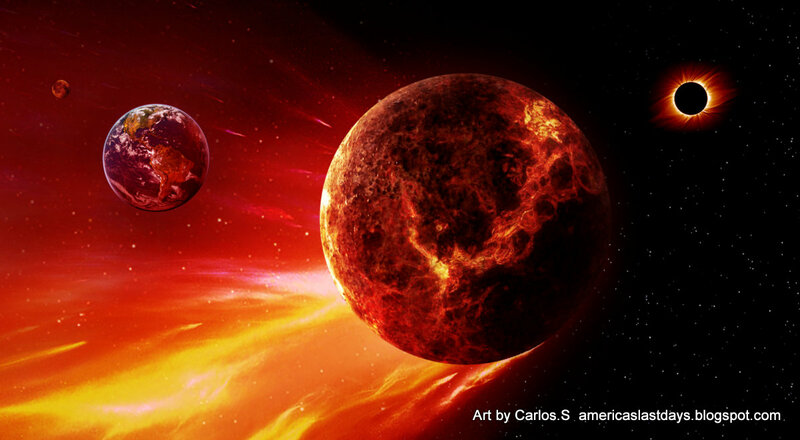 Planet X is 3-5 times larger than earth with an iron nickel core giving this planet a hire magnetic field. This planet has an elliptical orbit of 3600 years that may be responsible for the disasters in the bible like Noah flood and the plagues of Egypt that caused the sea to turn into blood. Ever since the discovery of the 10th planet Planet X the government has been preparing for the coming disasters that will come when Planet X orbits in our solar system. Planet X and its arrival near the trajectory of earths orbit will cause disasters and earth changes mentioned in the bible in revelations. The gravitational pull will cause tidal forces in the ocean's leaving portions of the United States under water. This map was leaked by government insiders that show the expected and predicted portions of america that will destroyed. Planet X may answer for some of the Judgements to this world in the time of the 7 year tribulation before the end of the world and the return of Jesus Christ.